More and more food trucks keep popping up in the city. Tonight I spotted the Moroccan grub-on-wheels, Comme ci, Comme ca by Chef Samir, parked at 54th and Lex. Comme ci Comme ca is French for "so-so." A funny name for a food establishment, and it kinda reflects what my meal was like. Just okay. But also nothing to complain about. For $6 I got mini ground beef patties on a baguette with sauteed onions and a bunch of toppings. 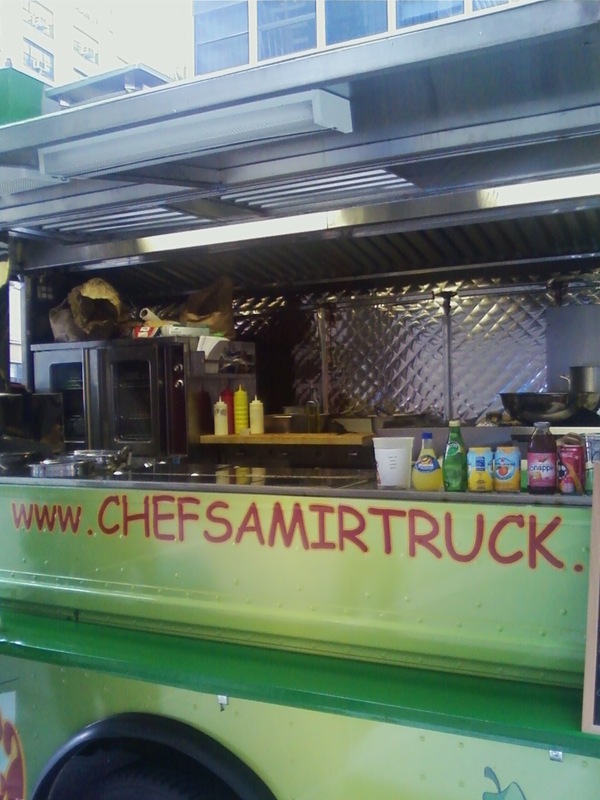 I guess I should just be thankful that I live in a city that has a Moroccan food truck. But next time I may get the cous cous or one of the cigar appetizers, which is what the Midtown Lunch blog recommends. funny that it's named so-so.